Original Outlaw There are 8 products. 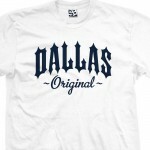 Represent your city with the Dallas Original Outlaw T-Shirt. Match colors with your club or team. If you're looking to create your own Custom Original Outlaw Tee, with your own city or town, check out our Custom Original Outlaw Shirt and Custom Original Outlaw Hoodie. 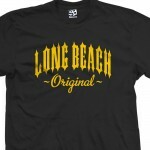 Represent your city with the Long Beach Original Outlaw T-Shirt. Match colors with your club or team. If you're looking to create your own Custom Original Outlaw Tee, with your own city or town, check out our Custom Original Outlaw Shirt and Custom Original Outlaw Hoodie. Represent your city with the Compton Original Outlaw T-Shirt. Match colors with your club or team. If you're looking to create your own Custom Original Outlaw Tee, with your own city or town, check out our Custom Original Outlaw Shirt and Custom Original Outlaw Hoodie. 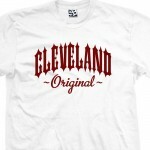 Represent your city with the Cleveland Original Outlaw T-Shirt. Match colors with your club or team. If you're looking to create your own Custom Original Outlaw Tee, with your own city or town, check out our Custom Original Outlaw Shirt and Custom Original Outlaw Hoodie. 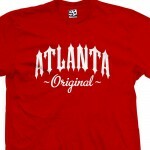 Represent your city with the Atlanta Original Outlaw T-Shirt. Match colors with your club or team. If you're looking to create your own Custom Original Outlaw Tee, with your own city or town, check out our Custom Original Outlaw Shirt and Custom Original Outlaw Hoodie. Represent your city with the Boston Original Outlaw T-Shirt. Match colors with your club or team. If you're looking to create your own Custom Original Outlaw Tee, with your own city or town, check out our Custom Original Outlaw Shirt and Custom Original Outlaw Hoodie. Represent your city with the Detroit Original Outlaw T-Shirt. Match colors with your club or team. If you're looking to create your own Custom Original Outlaw Tee, with your own city or town, check out our Custom Original Outlaw Shirt and Custom Original Outlaw Hoodie. Represent your city with the Houston Original Outlaw T-Shirt. Match colors with your club or team. If you're looking to create your own Custom Original Outlaw Tee, with your own city or town, check out our Custom Original Outlaw Shirt and Custom Original Outlaw Hoodie.